If you’re looking to tie the knot in Pune, then you’re well and truly spoiled for choice. Pune is overflowing with lush green landscapes, contemporary banquet spaces and beautiful wedding hotels. With the sheer volume of choice available, picking the right venue can be a daunting task. To make your life a little bit easier, this week we share with you our 5 best choices of banquet halls in Pimpri – Chinchwad area of Pune that offers close proximity to the Mumbai-Pune highway and a spectacular environment for you to host your local or destination wedding. Take your pick! Located on the Mumbai-Pune highway, Hotel Citrus Pune is the most preferred choice for stay for travellers. Other than that, it is also considered as the best wedding hotel in Pune offering well-quipped banquet halls in the Pimpri - Chinchwad area. 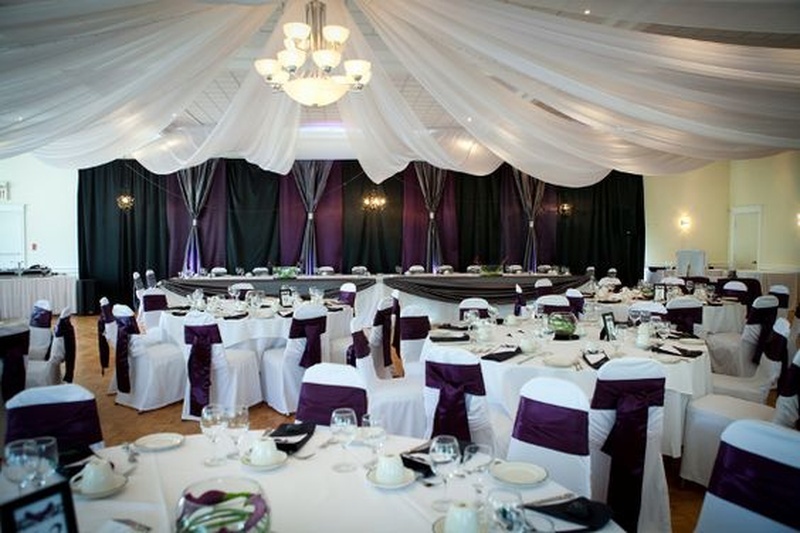 Perfect for a medium-sized celebration, this wedding venue offers two banquet halls and a lush lawn at your disposal. Comfortable rooms are also available for your outstation guests. Catering is handled by their internal expert team of chefs. The venue also provides decoration services, but allows you to make your own decoration arrangements. Outside DJ and alcohol is also permitted on the premises. Looking forward for a larger than life banquet hall in the Pimpri – Chinchwad area of Pune to throw a grand celebration? The Orchid and VITS Hotel is a luxurious wedding hotel in Pune offering an expansive banqueting space that can comfortably accommodate of 5000 pax. This massive wedding venue doesn’t fail in providing excellent service and is by your side at all times to ensure your tiniest requirements are met. Along with its massive banquet space, the venue also has smaller banquet halls to accommodate your pre-wedding festivities and a lawn if you wish to take your celebrations outdoor. As a full-service hotel, The Orchid takes care of all your wedding related requirements, including catering, decoration, entertainment, as well as alcohol. For couple looking to have a serene and elegant celebration away from home, there is no better place than Pune’s Hotel Sanket Inn. Ideal for a small gathering celebration its perfect for couples who wish to keep their festivities a low key yet classy. The venue offers two of the most stylish banquet halls in Pimpri- Chinchwad area. You can either select their indoor space that is large enough to accommodate up to 300 pax or opt for their lawn hall which is best to host your pre-wedding festivities as it is smaller in size. The venue provides delicious in-house catering services, as well as decoration services. If you feel the need to arrange your own decoration, the venue permits outside vendors, including DJ and outside liquor. Another gem of a location situated at close proximity to the Mumbai-Pune highway offering convenience and superior service is the Orritel Hotel. For couple who wish to gain complete solitude from all the hustle and bustle of the city, this venue is your ideal match if you’re looking for a banquet halls in the Pimpri - Chinchwad area. The two wedding halls are perfect for both pre-wedding and wedding festivities. The venue’s management team handles your decoration, catering and entertainment requirements. Though decoration services are provided in-house, the venue allows you to book outside vendors. Similarly, outside alcohol arrangements are also permitted. A picture-perfect location for your fairytale wedding is the Hotel Ambience Executive, offering the most gorgeous banquet halls in the Pimpri – Chinchwad area. From small, medium-sized to alrge gathering celebrations, this wedding venue has got you covered for your wedding festivities. As a purely veg wedding hotel in Pune, their culinary experts do not serve non-veg cuisines, but prepare mouth-watering vegetarian meals that will certainly satiate varied taste buds. The venue allows you to make your own arrangements for decoration, entertainment and liquor. You can also avail their in-house services for decoration and alcohol. See more such amazing wedding lawns, wedding hotels and budget-friendly marriage banquet halls in Pimpri – Chinchwad Pune here.